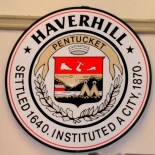 The Heartbeat of Haverhill is a Spring/Summer enthusiast reveling in the endless daylight and gentle breezes, of billowing skirts and bare feet, of petals and butterflies and the promise of a harvest. Winter in our humble opinion has so many strikes against it: too much darkness, too much cold and necessary clothing layers to try and ward it off, too much snow for aging backs to shovel, too much caution needed to accomplish the simplest tasks like crossing a driveway newly glazed in ice. Winter is hard. Fall on the other hand is the threshold to winter. Not bad in its own right, but as the harbinger of hardship, it elicits angst as it pushes Summer into the past. THOH read the quote and thought:”But we prefer low tide when discoveries are made on the uncovered sand, and, while a full summer moon is magnificent, a slim crescent moon in in a crystalline winter sky is pretty hard to beat.” And there it was, our “Aha” moment. We are enamored of the full mosaic of stories and seasons more than we love any singular favorite. Sure, by February, winter will seem interminable and we will wait impatiently for the days to lengthen and the soft green buds to reveal themselves, but we should also do our best to appreciate what each season yields. Like the beautiful images we’ve shared here. There are more photos to come to this post because in Haverhill we’ve got the best of any season. This entry was posted on October 16, 2017 by Brain4Rent/THoH in Alison Colby-Campbell, City of Haverhill MA, Fall in Haverhill, photography, Seasons in Haverhill, Uncategorized and tagged autumn, fall, Foliage, Haverhill MA, leaves, Nature, photographs, photography, Seasons, The Heartbeat of Haverhill, THOH.